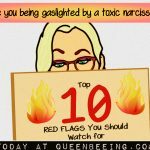 If you’re involved in a toxic relationship with a narcissist (or even aperson with NPD or narcissistic personality disorder), then you have probably been the victim of gaslighting at some point. The term “gaslighting” comes from a 1944 movie called Gaslight in which a husband tries to slowly drive his wife insane to cover up a big secret. There are three primary stages of gaslighting, as it applies to the psychological term. The first sign of gaslighting is shock at a narcissistic behavior. So, in layman’s terms–that means you’ll find yourself wondering what just happened. You’ll think the person just “sort of snapped” and that the behavior might be out of character. You’ll be shocked at some of the things the narcissist says to you–and you’ll find yourself going “huh?” when he reacts or responds to you. A gaslighter almost seems to go out of his way to make you wonder–but he’s not really trying to do that. He’s just being himself–a narcissist. 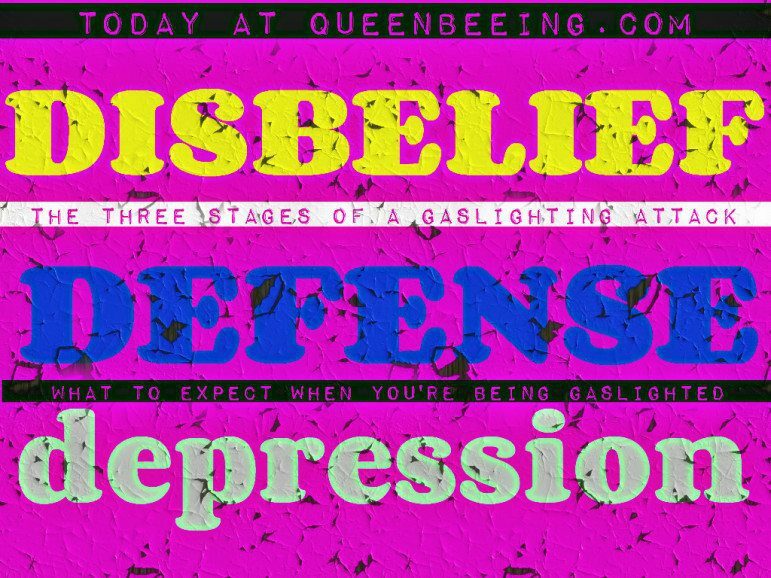 “In the second stage, defense, the gaslightee has begun to second-guess himself,” writes TheWeek.com’s Shannon Firth. This means that you start to wonder if maybe the narcissist is right–maybe you are the one to blame. You find yourself being constantly criticized by the narcissist and you being to think that you are really as slow, stupid, bad, lazy or whatever other rudeness is being spewed your way. Gaslighting makes you feel like you are crazy. It is part of the manipulation of a narcissist. Again, often the narcissist doesn’t even see what he’s doing here–but you won’t miss it. You’ll feel almost exhausted by the constant barrage of insults and digs being thrown your way, and you might even vow to make personal changes in order to become whatever it is the narcissist says you’re not. You lose a bit of yourself, really. At this point, you’re probably in need of a serious life overhaul. Whether you get professional help or you simply take your power back by recognizing the serious nature of the situation and taking appropriate action to make it change–you’ve got to do something. 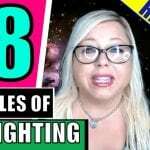 Staying in a gaslighting situation is clearly dangerous for you as a person, but in some cases, it can become even more serious since some narcissists will abuse their victims physically too. Get help with your narcissist! 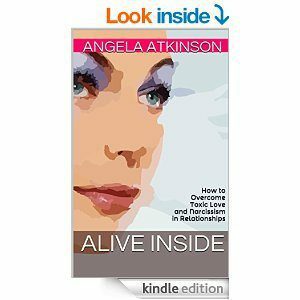 Read Alive Inside or Take Back Your Life (or see more at http://booksangiewrote.com). 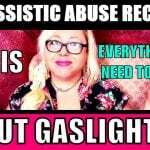 Have you ever experienced gaslighting from a narcissist? How did you deal with it? Share your thoughts and experiences in the comments section, below, or hit me up on Facebook. I keep reading hoards of these articles by the hundreds and I am starting to realize my gf is something else entirely. Some effed up disease I’m not even sure really exists. She has the silent treatment mashed with pathologically lying mashed with being unemotional, mashed with previously uncommitted (even though she told me she never cheated on a mate!) mashed with a bunch of other garbage. Is there really a way to get through this crap and be together in the future or am I just kidding myself? I mean seriously. Hit me with it, I can take it! Does a person like this ever really want to get better? Do they ever take the step of getting help or do words really mean crap when it comes to this stuff? She has told me time and time again she would fix it and get help, but has yet to really do anything. Kristi – that is such a great question that I really wanted to answer it thoroughly – so I wrote you a whole post about it. I say that they cannot (or, rather, will not) change – but some of the experts think a bit differently. Ultimately, it comes down to whether or not they really want to change – here’s the article I really do not believe narcissists ever change. I have never seen one change – well, not for long, anyway. What about you? 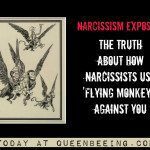 Here’s the post I wrote you: http://queenbeeing.com/can-narcissist-ever-really-change-experts-weigh/. Kristi, you are totally fooling yourself into even considering a relationship could work with a person like this. leave asap, and never allow the person back into your life. EVER. Chances are she will try to weasel her way back in once you end it but dont let it happen. 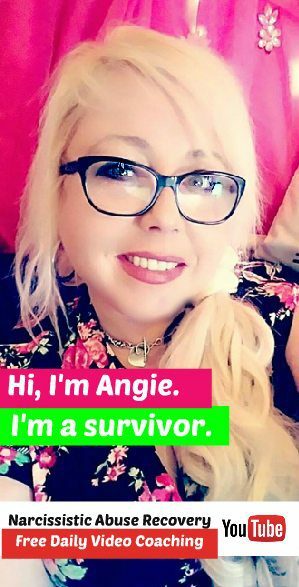 She’ll never “get help”; that is a sucker’s ruse to maintain the connection with you. you are narcissistic supply to her. these kind of people are poisonous parasites. And dont have empathy for her either, you accomplish nothing but confusing yourself if you do. You mean nothing to her. Let her go find someone else to feed off of. I’m about to deal with it. I’ll admit that alcohol plays a role (it shows up when we have been drinking) but not to the extent that he would like to portray. Regardless, I’m ALWAYS wrong and, if I poke through just a bit and get him to acknowledge his bad behavior, I “probably deserved it” (whatever his bad reaction was). Blaming is pretty common, K. My covert exNPD would cancel plans, silent treatment, triangulate, etc., and if i took issue i was told ‘you brought it on yourself.’ Thats important because its a rare insight into the actual thought processes of an abuser, that somehow when they do something to someone/something, it was ‘deserved.’ Their own brand of morality & it will excuse everything. I’m so happy all of this information is here so I can finally make sense of what happened to me with my ex-narc/sociopath boyfriend. It got to the point where he did not have to gas light me but I would gas light myself. My friends told me about how he would be extra touchy with other women. When i asked him about it, he said it never happened and then he turned it around and asked how do I define cheating? And he told me I need to reevaluate myself among many other things. He told me I was too jealous and I loved him too much. But when I stopped paying attention to him, the triangulation would begin and he would bring up ex girlfriends from 5 years ago just to see me react. It was so awful. I felt like I was the problem for so long. I would get upset, then apologize for getting upset, over and over. But my instinct was right about him trying to make me feel crazy when I am only giving a natural response.. also he would instigate me until he knew I would react. I just regret all of it. So what if the gaslighting was on family, friends, and coworkers to make you look like the crazy one? I can see it, they cannot. One of the family members is my own daughter so to say the least I have some skin in the game. What do you suggest? Confrontation? I would like your take on this issue.